At The original Twisted Wheel his SHAME SHAME SHAME was a huge hit and it even crossed over town to rattle the walls at the ‘New’ Wheel for many a year too. 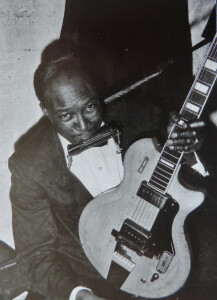 Jimmy Reed appeared in person at the Twisted Wheel. He did an excellent gig – can’t remember who backed him, however ( could have been The Pretty Things?). I was otherwise occupied with a girl called Doreen Hughes at the time and saw precious little of one the greatest blues legends of all time. Still, you’re only young once as they say. “Shame Shame Shame” had made him a star and was played constantly. It was an up tempo track but it still had his trade mark stamped all over it, ‘six note specials’ a series of ‘dum dum dum der dum dum’s‘ on drums or guitar, that found their way onto almost everything he did – as recognisable as the Bo Diddley jungle beat. Jimmy Reed records were constant players at the Old Wheel in Brazennose Street Manchester, before his hit “Shame Shame Shame”, because Roger the DJ loved the man and also due to the Blues boom taking place in the UK in the early 1960’s. 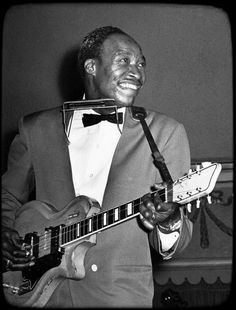 Jimmy Reed was born on a cotton plantation near Dunleith, MS. He never learned to read or write, he could just sign his name. It was Albert King that took him to Vee-Jay Records playing again with Eddie Taylor his music friend and partner it took time but ‘You Don’t Have to Go’ / ‘Boogie in the Dark’ was a USA hit. He was an alcoholic and suffered from epilepsy : Mathis James Reed was born on 6th September 1925 and died in Oakland California on the 29th August 1976. Many of Jimmy Reed’s best recordings were re-released on the CD Blues Collection from Orobis in the early 1990’s. This picture like the one at the top of the page was taken by Brian Smith: Jimmy at the Twisted Wheel 21st november 1964. In the May 2015 issue of BLUES & RYTHM magazine Jimmy is covered in detail with a picture on the front cover.